Ever since I was a little girl I have loved Branston pickle. Pickle on a ploughman’s lunch is just my idea of the perfect lunch. So when I was asked if I would like to review a selection of Branston pickles, sauces and chutney, I couldn’t refuse could i? My husband is a lover of brown sauces, whether they are fruity, spicy or smoky he just goes mad for it! 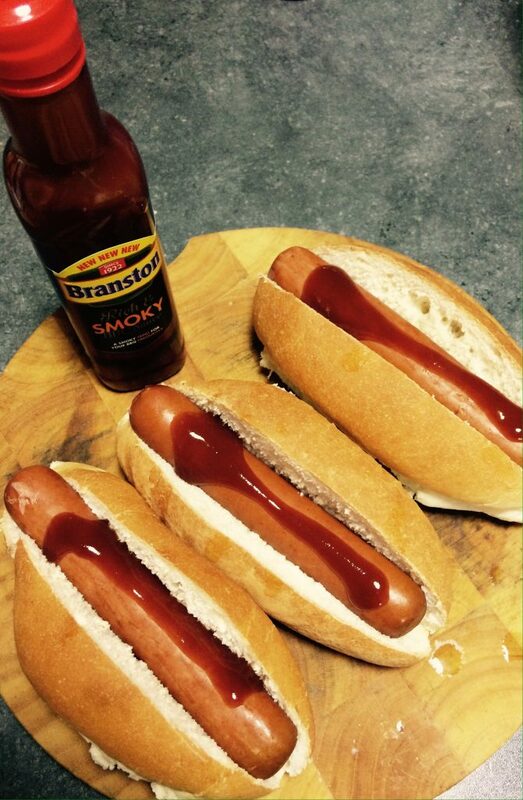 So I gave him the task of trying out Branston’s new rich and smokey BBQ sauce. At the weekend I though it would be nice to have some hot dogs in proper bread rolls because it’s been a while since we had hot dogs for tea. 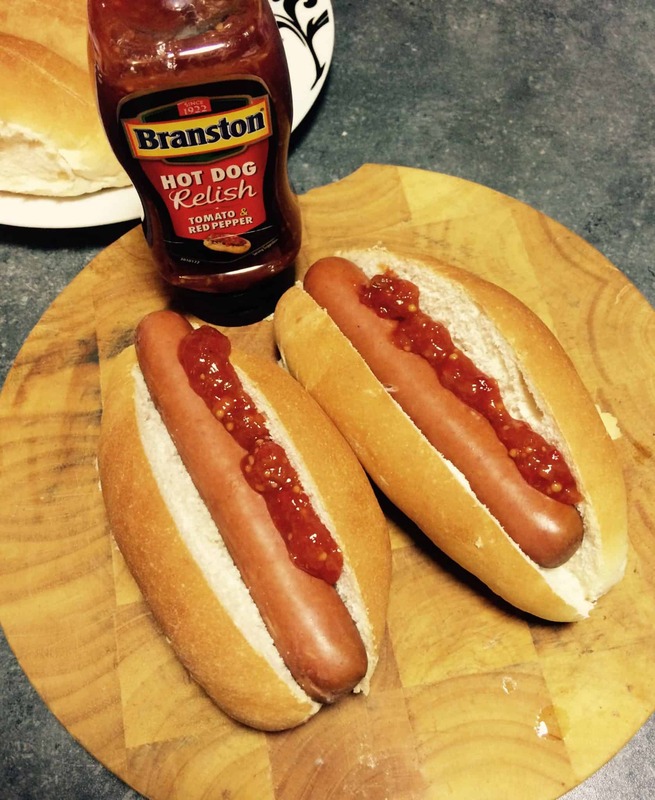 So my choice of topping for the hot dog was Branston hot dog tomato and red pepper relish. The relish was sweet and yet tangy. 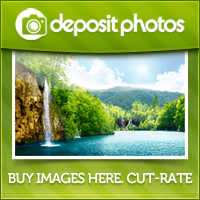 Perfect for hot dogs. 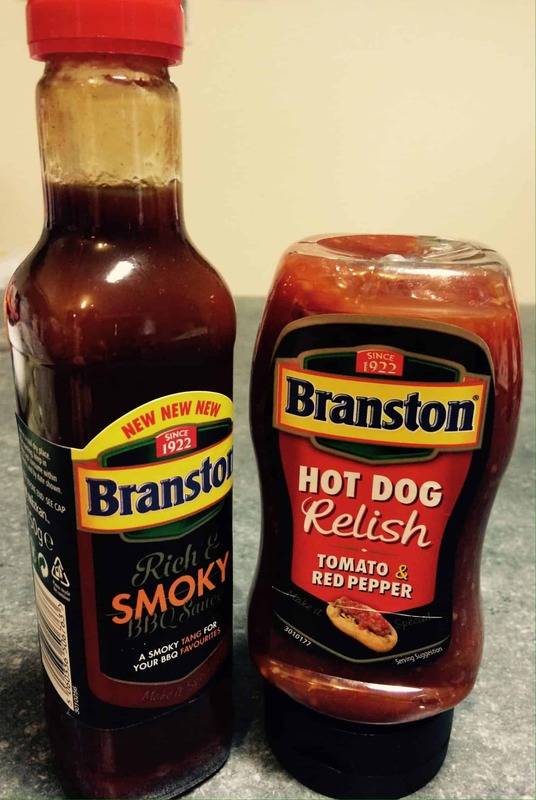 The Branston Hot dog relish really gives you an extra dimension to your taste buds. I think it would also be perfect for topping burgers with layer of cheese added as well. 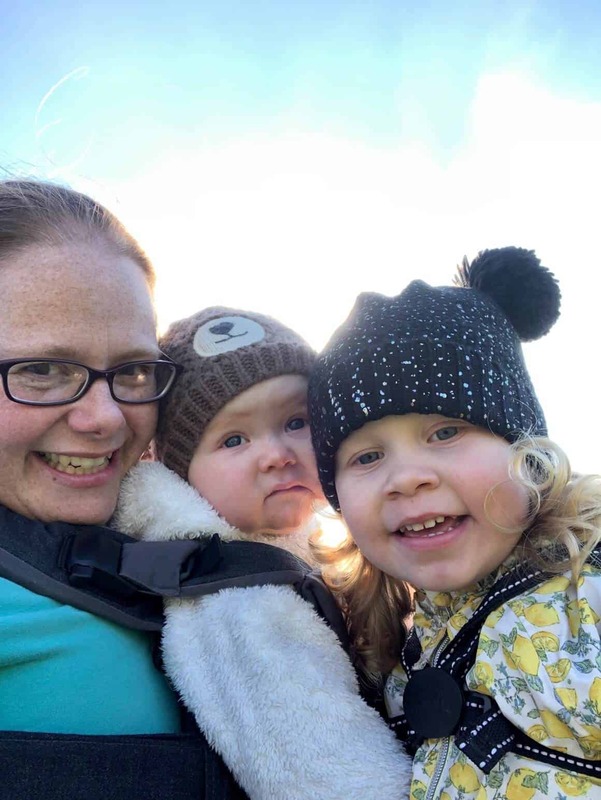 If you check out the Branston recipes over on their website you will find a quick and easy recipe for kidney bean, tomato and red pepper quesadillas A recipe like this is ideal for to fill up hungry kids during the Summer holidays. My husband tried out the rich and smoky BBQ sauce on his hot dogs. He said it’s a silky smooth sauce with that distinct BBQ flavour. Not to overpowering, but giving a great taste. The consistency was perfect for pouring over the hot dogs. One of the recipes using this rich and smokey sauce you can try out is a Pulled Pork roll with lettuce in a roll. This sounds amazing and the next one we will try out. Quick and easy yet tasty! Branston Pickle loves sandwiches and loves you for making them yourself. When you make it yourself, you make it special. So be a craftsman of your own mouthwatering masterpiece and give it a big dollop of Branston. On a Sunday morning we normally have a treat and rustle up bacon sandwiches, sometimes with a fried egg in them. 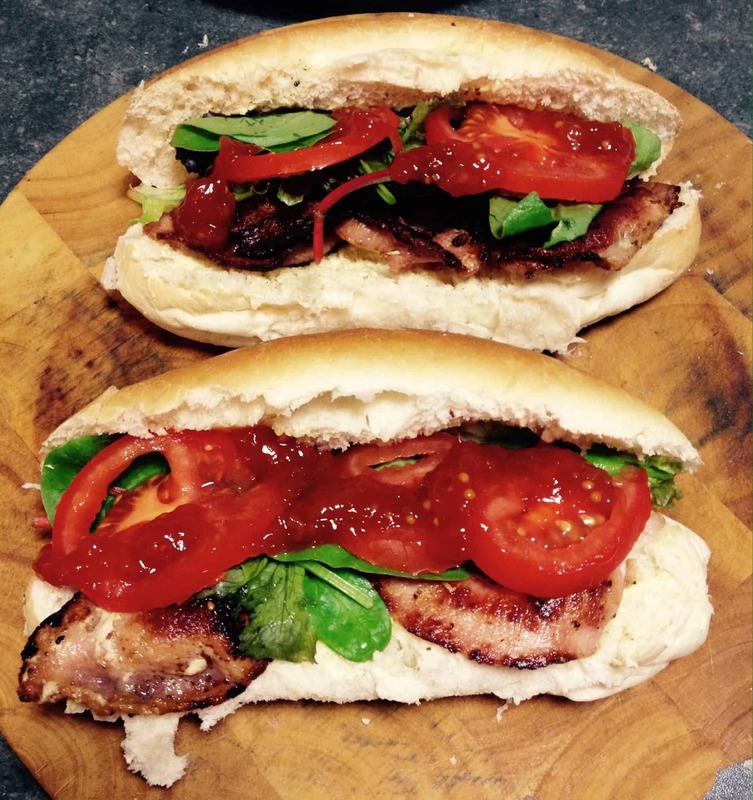 This week we decided to make the traditional BLT in a roll and add the tomato and red pepper relish. Well that was one of the best BLT’s I have ever eaten. The Branston relish just hit the spot with that extra tangyness to cut through the salty bacon. Totally went down a treat! Who doesn’t love cheese and pickle? 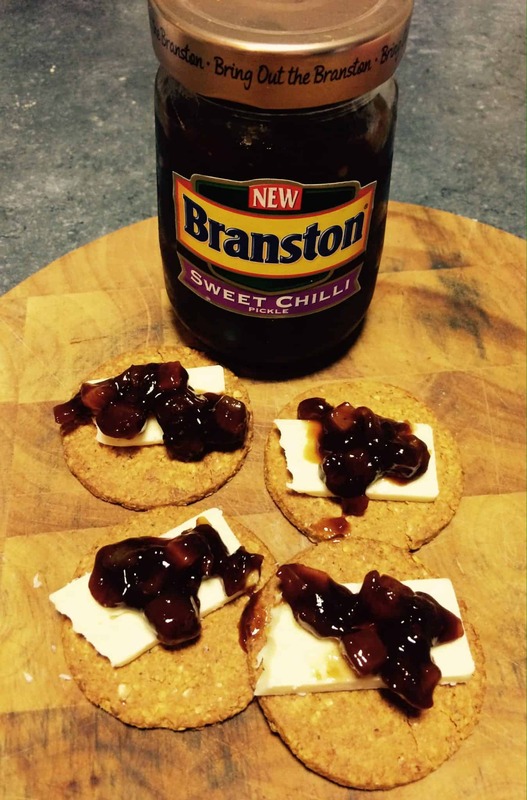 I just had to try Branston’s new sweet chilli pickle on my cheese and biscuits. It looks the same as the traditional pickle but once you take that first bite, you get the sweet taste then the chilli kick! Yes it really does have a kick this one. A great accompaniment to extra stong mature cheddar on some oat biscuits. My other little tip is to put a teaspoonful of the pickle on little quiche bites – yummy! I hope you have enjoyed my little mouth watering quick meal and snack tips. What types of sandwiches would you make with these sauces and pickles? * I was sent a lovely selection of items in exchange for a review. My opinions as always are my own.